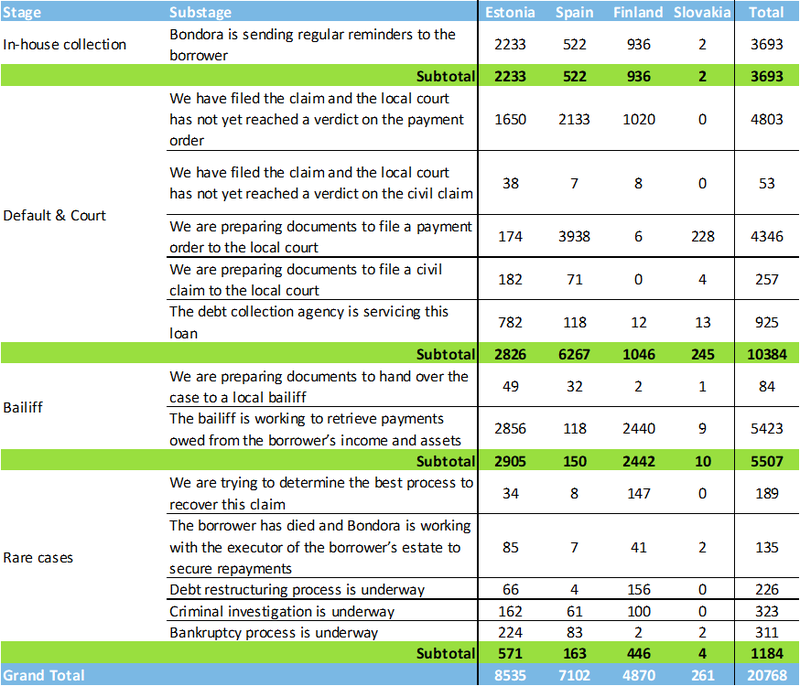 A notable change (+149%) compared to the previous month is the total number of loans in the ‘We have filed the claim and the local court has not yet reached a verdict on the payment order’ sub stage in Spain. Previously, many of the cases were being prepared to be filed and as we are now working with a partner in Spain who is submitting 250-270 defaulted cases per week to the local courts, this will improve our overall efficiency of generating a cash flow from defaulted Spanish loans. In addition to this, 518 cases were moved to the bailiff stage in Estonia where they can now begin to retrieve payments for investors.